Liverpool… A City for all ages! COMMUNITY leaders within Liverpool have pledged to make it as easy as possible for people living with dementia to make the most of City Council services. A special motion agreed by the City's Full Council reaffirmed the Council's commitment towards making Liverpool an:- 'inclusive and accessible dementia Council.' The Council has promised to ensure that the services it provides are dementia friendly by raising awareness about the condition amongst its workforce. It will also provide more training for staff members and elected members around the needs of people living with dementia and commit to work with businesses, the voluntary sector and the Age Friendly Networks, in a bid to become an increasingly Age Friendly City. 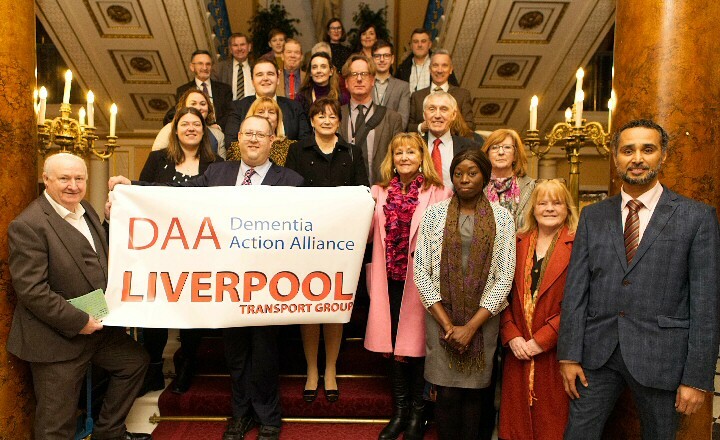 The motion to Council entitled Ageing Well and Dementia in Liverpool, states that the authority will work closely with the Liverpool Dementia Action Alliance and other local organisations, on the plan. Liverpool City Council's Lead for Older People (South) Cllr Jeremy Wolfson, proposed the motion. He said:- "The Council is committed to improving the quality of life for all residents of the City and increasing the number of healthy life years for people in Liverpool is a key part of the Mayor's Inclusive Growth Plan. It is estimated that there are nearly 5,000 people over the age of 65 in Liverpool living with dementia, with many who are younger than this living with the condition. Dementia is not a disease of merely growing old but the risks do increase with age. Crucially, getting a formal diagnosis can be the key accessing the right support services." Liverpool City Council is leading the way in terms of dementia care by creating a number of support centres across the City. The 1st of these is Sedgemoor Day Centre in Norris Green. The ₤1.2m centre caters for up to 30 people a day and provides assessment and respite facilities. It offers a range of therapies and activities designed to keep users active and to help them retain their independence for as long as possible. Work has also begun on the site of a new ₤7.8m Dementia Hub on South Parade in Speke and at the proposed ₤8.2m Venmore Dementia Centre on Hartnup Street, Anfield. Cllr Wolfson added:- "Staying connected and active in the local communities, through work, rest and play, can help people living with dementia stay physically and mentally well for longer, which is exactly what we are promoting through the work of our dementia hubs. We are delighted that the Council has supported our motion, which means we can continue to move towards being the best City we can for people of all ages." THIS is a free course for people aged 16 to 25, who are not currently employed or in full time education. If you're not sure of what to do next, then Blackpool Prince's Trust Team Programme could be for you. You'll receive an incentive of up to ₤200 upon completion. FREE bus travel....For more information about how to apply and what it is all about, go to the Prince's Trust Team's website. 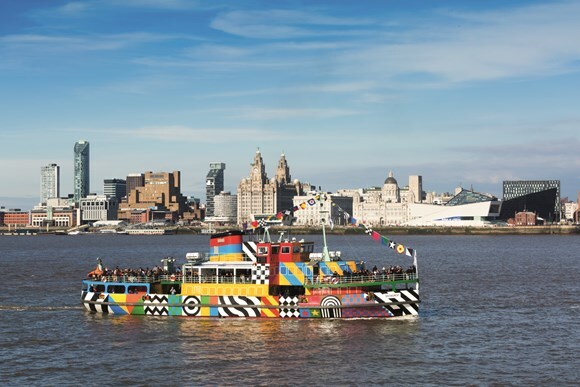 THE eye catching dazzle design on the Mersey Ferry Snowdrop is set to be retained, extending the life of Sir Peter Blake's Everybody Razzle Dazzle artwork. The Snowdrop was due to be returned to her original paintwork in the coming weeks, but she will now continue with the livery designed by the British Pop artist until she is taken out of service to make way for the new Mersey Ferry in the future. The dazzle design was introduced in 2015 as part of an initial 2 year long project led by Liverpool Biennial with 14-18 NOW; the UK's arts programme for the First World War Centenary and Tate Liverpool, which was later extended to 4 years. Everybody Razzle Dazzle was created to mark the war centenary, inspired by designs on merchant navy vessels during the conflict intended to confuse the enemy. In 2018 it also helped celebrate Liverpool's 10 year Anniversary of European Capital of Culture. The Dazzle Ferry has proved popular, attracting media interest nationally and across the world, with many group and school bookings insisting on using it during their trip. The Snowdrop will have the dazzle livery renewed when it goes in for its regular out of water survey in February 2019. Plans for the new Mersey Ferry are well underway, with Metro Mayor Steve Rotheram announcing the start of the tender process just before Christmas. And to help celebrate this year's 60th Anniversary of the 2 current ferries, The Snowdrop and The Royal Iris, Mersey Ferries will soon be launching an appeal for photos and memories connected to the ferries' launches in 1959. Cllr Liam Robinson, Transport Portfolio Holder for the Liverpool City Region Combined Authority said:- "It's fantastic news that we will continue to see the Dazzle Ferry brightening up the river for the foreseeable future. It's been a popular feature on the waterfront over the last 4 years and I'm sure it will continue to be up until the new Mersey Ferry comes into service." Sally Tallant, Director of Liverpool Biennial, said:- "Everybody Razzle Dazzle is one of the City's iconic public artworks. We are thrilled that, with the artist's support, Snowdrop will remain dazzled until the end of its service. It has become a recognisable and much loved feature of Liverpool's Waterfront, alongside other sculptures by internationally renowned artists, such as the recently launched Liverpool Mountain by Ugo Rondinone on the Royal Albert Dock."